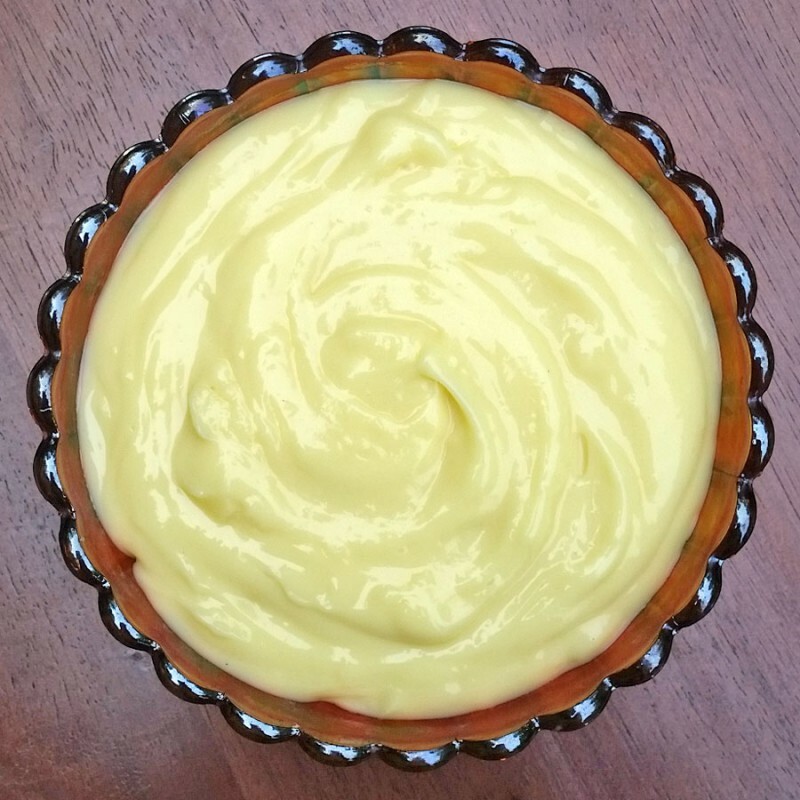 A classic vanilla custard that’s used as a filling for éclairs, doughnuts, pies, cakes, parfaits, etc. I also mix it with stabilized whipped cream for desserts like Merveilleux, Heavenly Pie and my Crêpe Terrine Cake. In a heavy, one quart saucepan, mix 1 cup of milk and 1/4 cup of sugar and heat until mixture just comes to a simmer, do not boil. In a small bowl, whisk together the sugar and cornstarch to break up any lumps, then add 1 cup of milk, the egg yolks, vanilla, and salt. Slowly beat the warm milk into the yolk mixture in the bowl. Pour the mixture, through a fine strainer, back into the saucepan. Place the saucepan over medium heat, whisking constantly until it’s thickened enough to coat a spoon. Strain the mixture back into a shallow container and cover with plastic wrap to prevent a skin from forming. Cool in the refrigerator for several hours.